Is Texas big enough for more McCoys? Hell yeah! 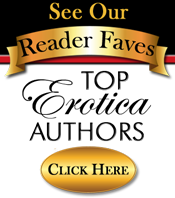 Heath McCoy, the oldest cousin of Aron and his brothers spends his days championing his family. He is no stranger to heartbreak, the woman he loved left him at the altar. From that moment on, Heath developed a new attitude – love’em and leave ’em wanting more. Until he meets Cato. Cato is determined to experience all life has to offer. She is deaf, yet very adept at listening with her heart. The moment she lays eyes on Heath, she knows he’s the one man who will mean the world to her. But Heath doesn’t want forever, he wants a fling. So, Cato decides to give him what he wants and hope he falls in love with her in the process. She takes a gamble on love and the stakes are high. 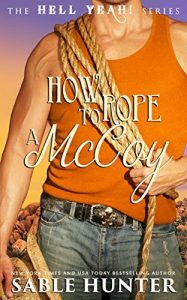 How do you rope a McCoy? Very carefully. How do you keep him tied? With love.